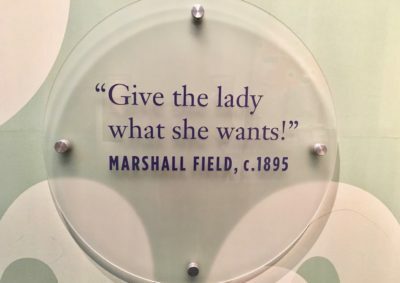 “The customer is always right” and “Give the lady what she wants” are both quotes attributed to Marshall Field, who established the eponymously named department store in Chicago around 1860. Field bucked the tradition of the time by providing an exceptionally high level of customer service and quality merchandise. This quote shows that the Marshall Fields store had remained true to its founder’s tenants: offer desirable products, and provide a shopping experience that makes the customer feel valued. 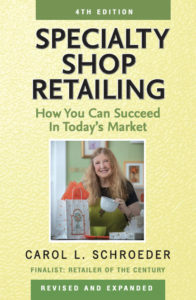 And even if a giant retailer like Macy’s – which itself had once been an innovator, introducing the Idaho baked potato and colored bath towels – wasn’t able to hold onto that goal of satisfying shoppers, as independent store owners we can strive to keep Field’s vision alive. What are the important tenants of customers satisfaction? The customer is not, of course, always right – and shoppers today are not by any means all ladies. But hopefully we have the ability to create an experience that Marshall Field would have admired, making shoppers feel welcome and offering them just what they want.